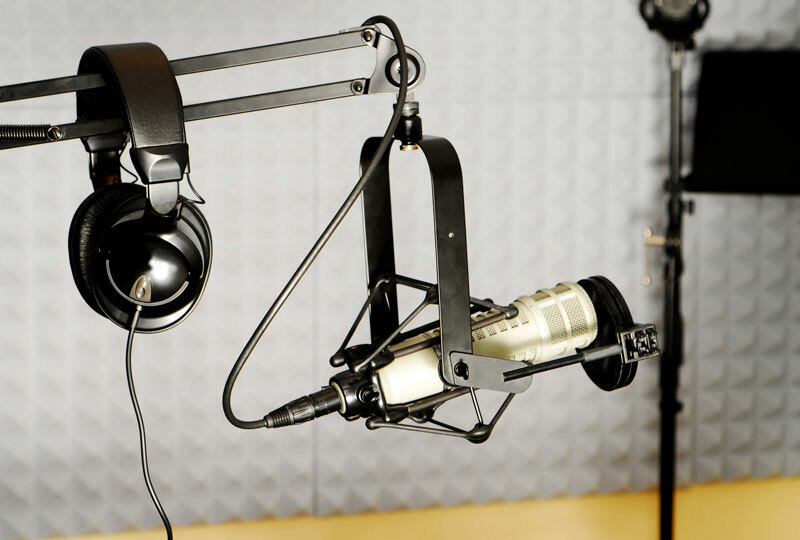 Christian Radio International exists for the purpose of using the great tools of radio and television to spread the Gospel. We believe Jesus Christ died for every person and wants them to know they can have their sins forgiven and have a home in Heaven. There are many people who have never once heard that good news. Our desire is that they would have the opportunity to hear. We are thankful for the many people who have put their faith in Christ through this ministry. Please pray for us and consider supporting us as we know God has great things in store for the future of CRI. 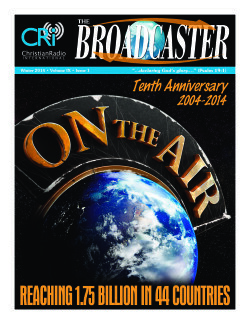 You can also read our magazine Broadcaster for more information or read one of our ministry reports. 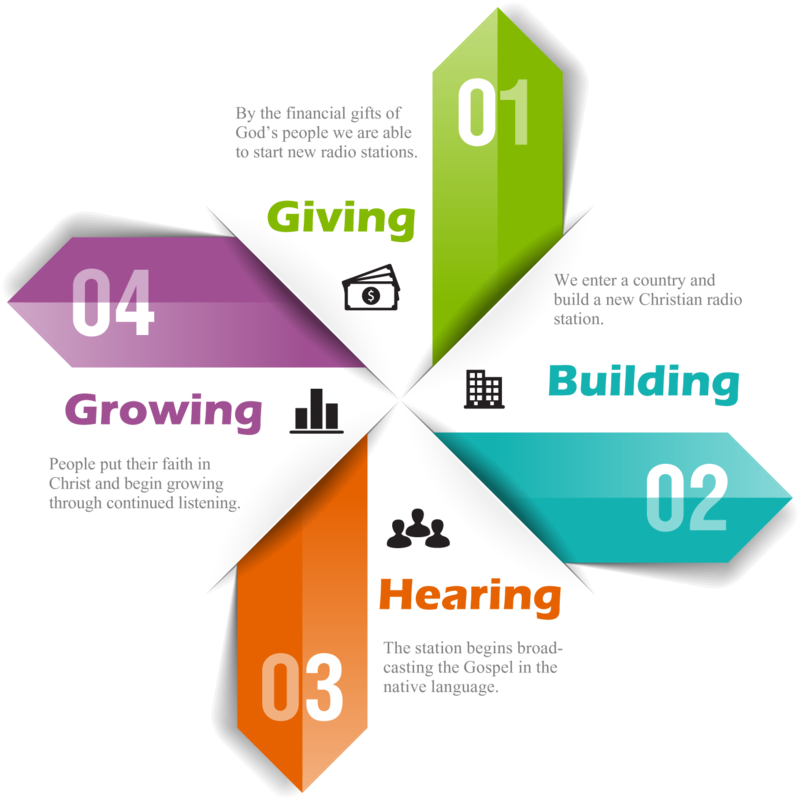 Christian Radio International exists for the purpose of using the great tool of media to spread the Gospel. There are many people who have never once heard the good news about Jesus. Our desire is that they would have the opportunity to hear. Please pray for us as we know God has great things in store for the future of CRI. Click the infograph below to learn more.